The Foothills Retirement Community offers a variety of one and two-bedroom apartment floor plans, ranging from 553 SF to 1322 SF. Our private apartments for seniors in Easley, SC, are conveniently located in the main building to help you stay connected to your community while still enjoying the peace and independence of your own living space. You can prepare meals and snacks in your full kitchen. Host friends and family in your living room or just spend the day in peace or quiet reflection surrounded by your own familiar home furnishings. Some larger apartments have dens and custom features like granite countertops and custom shelving. 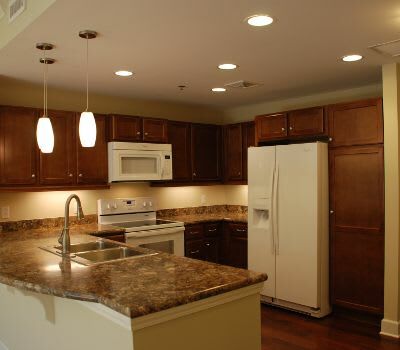 Contact Foothills Retirement Community today to schedule a tour of our floor plans. One and two-bedroom floor plans ranging from 1,022 to 1,322 square feet are currently being added onto the main building. These apartment homes will offer a breadth of amenities, such as spacious, open kitchens, laundry rooms equipped with washers and dryers, and covered patios and decks. Call today to learn more about reserving a new apartment.